When you install Oracle Xe on a windows machine (mainly server OS’s like Windows 2003) you may notice that the database is not always starting after a reboot. This ussualy happenes when the Oracle XE was installed under a different user than the one you are currently logged in as. 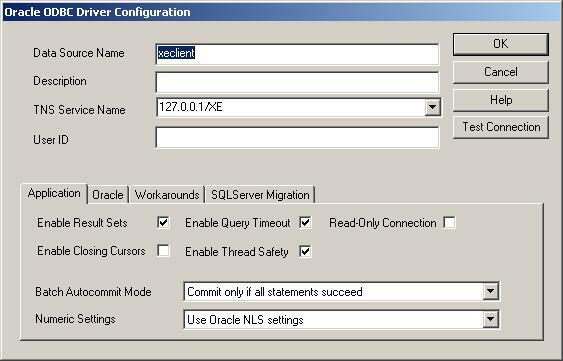 It is easy to start the database by going to Start-> All Programs -> Oracle Database 10g Express Edition – Run SQL Command Line and simply type “STARTUP”. However, if you want to automate this process you can use the StartDB.bat. 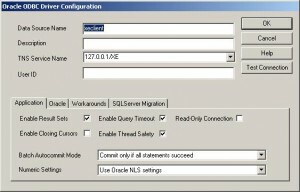 2) Edit the StartDB.bat file – If the Oracle Service andthe listener is started you can delete the first two lines (net start OracleXETNSListener and net start OracleServiceXE) and save the file. 3) Go to Start > All Programs > Accessories > System Tools > Scheduled Tasks and Use the Windows Scheduler to execute the batch file “When my computer Starts”. Oradim messages are not displayed in the command prompt (you can still find the results in oradim.log under C:\oraclexe\app\oracle\product\10.2.0\server\database) so it might be wise to try the command first using the command prompt. If you get ORA-01031: insufficient privileges when you trying to start the db (you probably will if you are logged on as different user than the user who installed Oracle XE) all you need to do is add the user to the ORA_DBA windows group. 1) Right click on My Computer and click Manage. 2) Navigate to Local Users and Groups and click on Groups. 3) Double click on the ORA_DB group and add the user you are currently logged in as. 4) Re run the oradim -startup -sid XE -starttype inst > nul 2>&1 to verify that it works. This entry was posted in Uncategorized and tagged ora-01031, Oracle XE, oradim on June 4, 2010 by Asaf Tal.